Discussion in 'Body' started by kool_kombi 79, May 29, 2016. These units have come together nicely. leoj, Grantus and cbus like this. question from us door hinge dummies. how can i tell if my hinge needs refurbishment ? Or it just needs general all round adjustment? The issue with the hinges is the bushes wear and are not a tight fit. This causes the door to drop when opened and needs to climb back up onto the lock pin to close. Later models 74 onwards have no bushings and run straight on the aluminium. Perfect example of a worn Hinge Unit and the results after a recondition from Malcolm Engineering. Contact Malcolm Engineering to discuss a recondition of your Hinge Unit. Jenny Frappell and Miss Rosie like this. This is for a recondition service, please head over and have a look if you are interested. 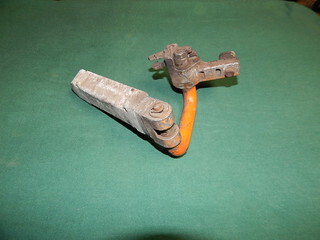 This is a perfect example of a 40+ year old VW Kombi Sliding Door Hinge Unit due for a recondition. This Hinge Unit was sent to Malcolm Engineering by a customer in Sydney having typical troubles closing the sliding door. This Hinge Unit was badly worn in the housings and the roller was almost worn through to the bearing. 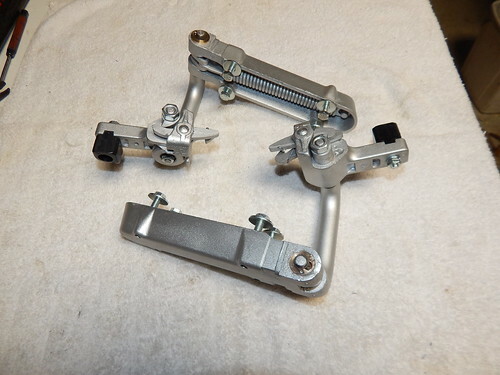 A full recondition with new components has this Hinge Unit ready for another lifetime of cruising and fun. What a great job you have done. I am glad my one is still going strong but if it ever shits itself I'll know where to go! Some nice feed back from a fellow KC member, Andrew, who was having a lot of trouble aligning and adjusting his door. Andrew contacted me and I was able to do a exchange unit for him. "A very big tick for Dale - very helpful and high level of workmanship. I have installed the hinge and it is great - no movement at all so very happy. If I had my time again I would have redone the rail which the roller runs on as it's worn near the front end. The hinge is now perfect. A great result. David H, andrew and melissa like this. 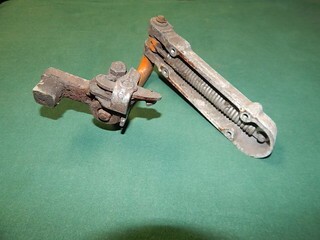 Two Hinge Units exchanged from customers, transformed for another forty years of service. These two units available for exchange. The Sliding Door Lock Back Housings are also available for exchange, new rubbers, pin, hook, and hardware inc rubber washer to seal against outside of van. A nice little story this week. Mark from Excite Signs, Jamisontown near South Penrith, Sydney, called Malcolm Engineering for a exchange Hinge Unit this week. With a looming holiday trip planned and the sliding door in need of repair, Mark was at wits end trying to adjust the Slider. Malcolm Engineering was able to exchange and send down a Reconditioned Hinge Unit, and all reports back after a few minor adjustments the Sliding Door is working beautifully. Thanks Mark another happy customer. Wayne murray and robmich like this. 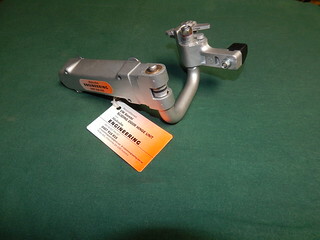 Malcolm Engineering Exchange Hinge Units now available at Mick Motors Brisbane. Give Mick or one of his crew a call to to organise a walk in walk out Hinge Unit exchange or you can talk to them about a postal exchange. 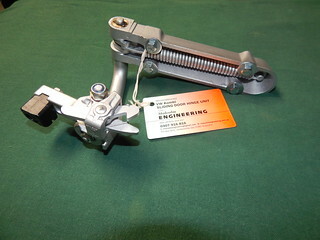 If you are in Sydney, Just Kampers Australia also have Malcolm Engineering Exchange Hinge Units ready for exchange. Give them a call to organise your exchange Hinge Unit options. We have another Hinge Unit heading out to a large fun park in Sydney, this is the second one for them. They have two vans in resto for the park, so can't wait to see what the finished result is. 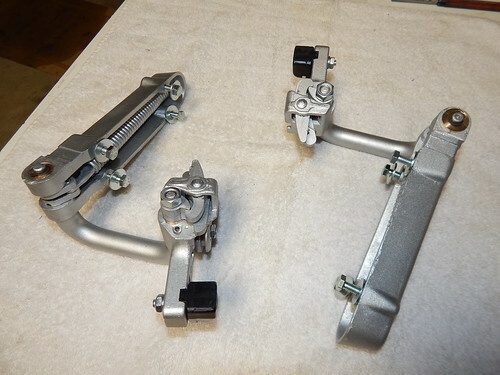 Exchange Hinge Unit and Reconditioned Hinge Unit ready to be on the way. Getting some stock on the shelf, six more saved and ready for exchange. New rubber body seal, exclusive to Malcolm Engineering, made in house. Was able to catch up with a customer at Dubs at the Abby, with his imported Kombi from England. First RH Door Sliding Door Hinge Unit. Works a treat, he was so excited to show me it working I thought he was going to hug me. He commented that the Old Hinge Unit would not "POP" the door out when opening. If you look you can see the large spring has stretched and lost its tension, common problem. All sorted, New Exchange Hinge Unit and very happy Kombi owner.